Within a power distribution system, overcurrent and residual current devices (RCDs) are used for the protection of human lives against shock hazard as well as to protect the structure / equipment and occupants from fire and other hazards that could result from an electrical fault. Similarly, surge protection devices are installed to also reduce these risks due to lightning currents. It is important that the installation of surge protection devices does not compromise the operation of overcurrent and residual current devices. Where conflicts exist, priority should be given to the overcurrent and residual current devices. Often in the case of RCDs, this resolution requires the installation of the surge protection devices to be installed in a less favorable position. Residual current devices (RCDs) may also be known as residual current circuit breakers (RCCBs) or earth leakage circuit breakers (ELCBs). 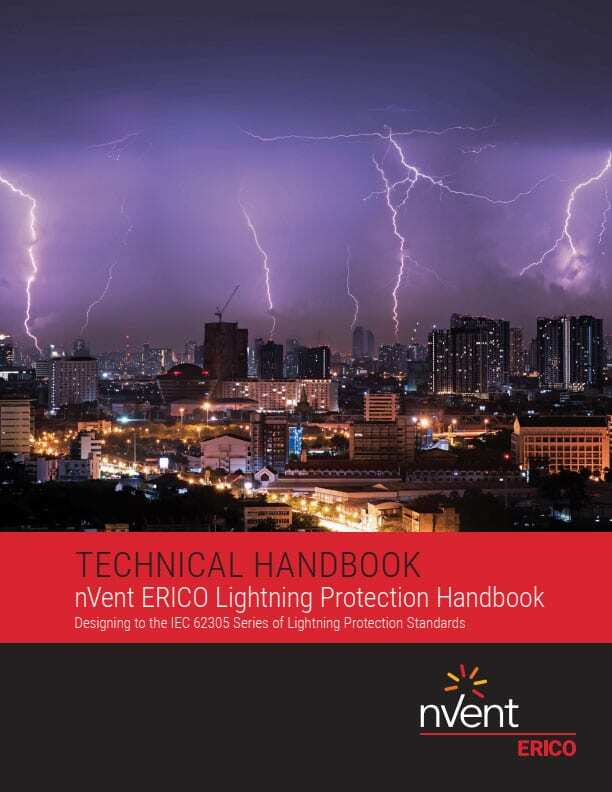 Issue #1 – Large lightning current passing through the RCD could cause damage to the RCD, thereby inhibiting its operating and causing a safety hazard. Issue #2 – Nuisance tripping when surge protection devices installed downstream operate (the current flow to ground can be detected as a potentially life threatening leakage current. Issue #3 – Nuisance tripping when large lighting currents are passed through the RCDs. Due to small imbalances in the detection circuit, when large lightning currents are passed and returned via the RCD the RCD may incorrectly detect an imbalance. 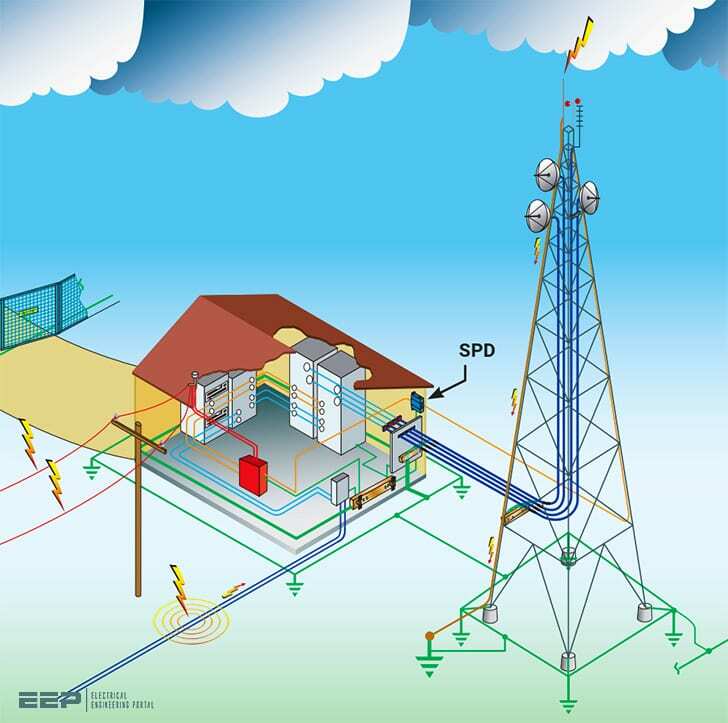 Generally it is desirable to install SPDs prior to RCDs to avoid situation 1. However, some local codes may not permit SPDs to be installed prior to RCDs. It is important to follow the local code requirement with regard to installation and selection of RCDs. In other countries, RCDs are only used on branch circuits feeding to wet areas such as bathrooms, hence SPDs can be installed prior to RCDs. Type “S” or “selective” RCDs are specially designed to have a higher immunity to lightning impulses (to 3 kA 8/20 µs). Internal filtering desensitizes the detection circuits to harmonics, inrush currents and lightning currents. There is generally little concern with class III tested SPDs being installed downstream of RCDs. In fact class III tested SPDs are often only installed L-N to protect against differential mode voltages, thus further reducing the risk of interaction with the RCD. In your practice do you usually installed SPD in a main panel or in a separate special box? I prefer more installation in the same panel. Connections are shorter.